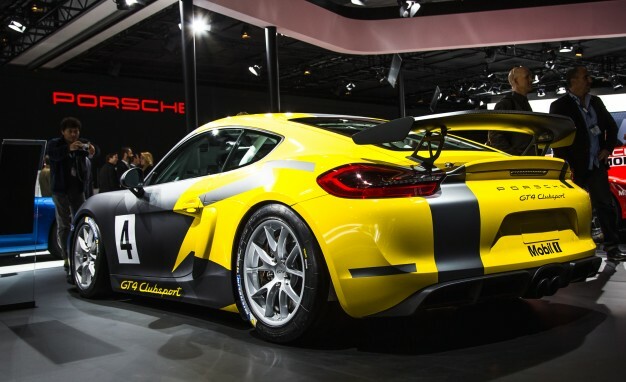 The Porsche Cayman GT4 was revealed in the Geneva Auto Show last Marsh, and it was a bit of technology, powered by a flat-six 3.8 L engine that produced 385 bhp, it had a main competitor the TT RS Audi. In the L.A Auto show, Porsche came with a more track-focused model, and dubbed it The Clubsport. The Clubsport doesn’t differ much from the GT4 Cayman, it has the same engine, so 385 bhp of power, 420 N.m in torque, a 0 to 100 km/h in just 4,4 seconds and a top speed that is announced to be around 183 mph (295 kph). Modifications were brought to the gearbox body, brakes, and interior. The Cayman GT4 had a manual 6-speed transmission whereas the Clubsport comes with a double-clutch shift-paddled 6-speed PDK Porche gearbox. It lost 40 kg in weight, to get to 1300 kg, thanks to a severe diet program, such a result was reached by taking off the maximum weight : no floor carpets, to sound systems, and the passenger seat. To maintain good security standards, a roll bar was added to stiffen the body. The pilot is installed in a competition bucket seat, held by a six point harness. 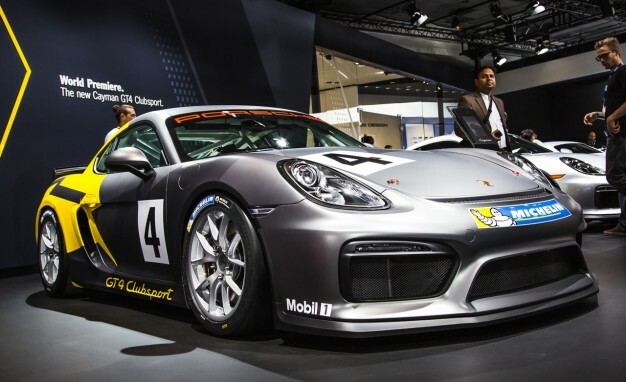 The Cayman GT4 had a 85,000$ tag put on it, whilst the Clubsport costs almost the double 165,000$. It would participate in various competitions : Pirelli World Challenge, the Continental Tire Sports Car Challenge, the Pirelli GT3 Cup Trophy USA, the Ultra 94 GT3 Cup Challenge Canada and the Porsche Club races.